It was cold, wet and there was next to no atmosphere – the absence of betting will do that – but there was enough customary Jockey Club efficiency and positivity from the key players to label Saturday’s trailblazing Conghua meeting a success. While the novelty of the occasion no doubt played a part in everyone remaining relatively chipper despite the weather, there was enough substance to suggest an event that was more than a little manufactured won’t always be that way. Chief executive Carrie Lam Cheng Yuet-ngor was on hand to hail the Conghua Racecourse as an inspiration to further Greater Bay Area developments. Jockey Club chief Winfried Engelbrecht-Bresges doubled down, claiming Saturday’s inaugural meeting is the perfect platform for bigger and better things while admitting there is plenty of room for improvement. Trainer John Moore perhaps best captured the feeling of the day – certainly not bad but a little way from perfect at the same time. “It reminds me of a pretty ordinary Melbourne race meeting. It’s probably 10 degrees [Celsius] out there and we’re all freezing, [but] when you have a winner, you don’t care, do you?” Moore said after The Createth saluted, before adding the sweetener. “This is a very special racing complex, second to none. It’s got everything a trainer needs to get a horse fit before he comes to Hong Kong. While not every jockey was jumping out of his skin to make the trip and there was a sense that some were saying the right thing in respect for the party line, there was no criticism and plenty were quick to confess their love for the track. One trainer did suggest the meet amounted to the “world’s most expensive barrier trials”, but that was tongue in cheek, and the genuine pleasure on Richard Gibson’s face when he took out the first race showed it meant something. Michael Chang Chun-wai certainly wasn’t complaining after landing his first quinella since February last year when Happy Rocky and The Joy Of Giving crossed first and second in the last of the five races. “I think it’s easier up here. Not many big trainers send their good horses,” he smiled, adding that his horses loved their first trip to Conghua and that the track was perfect. The set-up for the fans was impressive, with carnival games, activities, plenty of shelter and a great view of the home straight from the temporary stands. 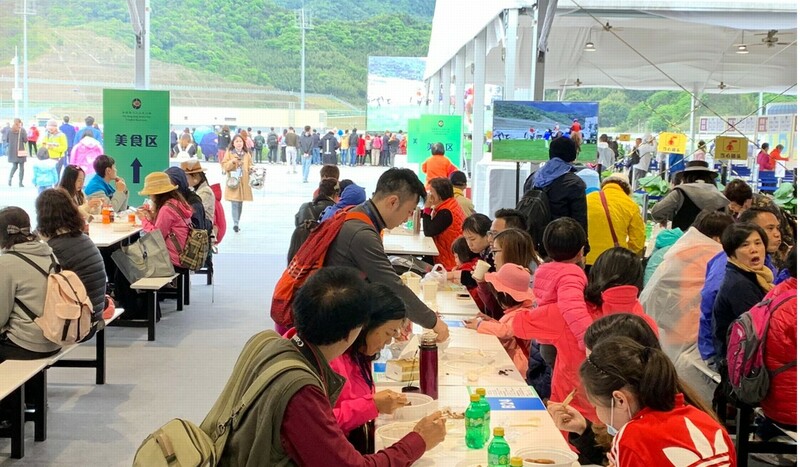 The Jockey Club said the 3,000 public tickets that went on sale throughout Guangdong province sold out within two weeks, with 95 per cent of those fans having never seen a horse race before. There were plenty questioning just how it managed to “sell out” those tickets but there was no doubting the crowd’s engagement once they were on course, watching on with wonderment as the horses thundered past and embracing the activities on offer. 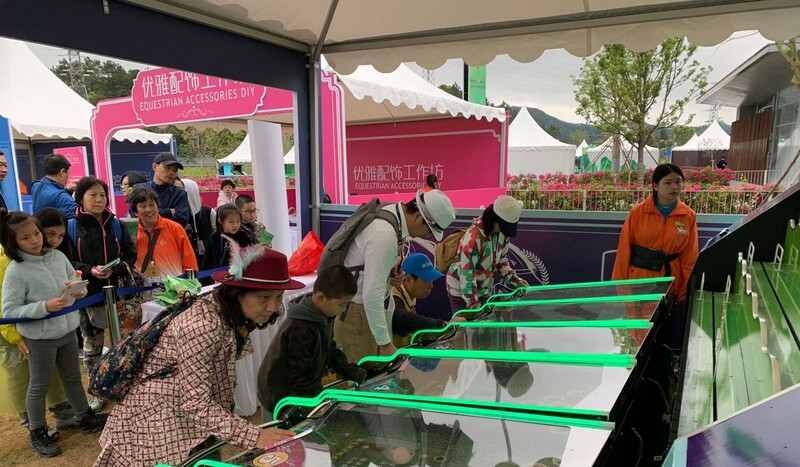 Engelbrecht-Bresges has continually stressed that gambling in Conghua is off the radar and that the Jockey Club’s endeavours are about the sport of racing and adding value to the area as a tourist destination. The reaction of the fans suggests the tourism element may well have legs. Overall, when you take into account the challenges involved in holding an event in China for the first time, it’s hard to knock the show the Jockey Club put on. There is no doubt it’ll be bigger and better next season, and the one after that, and that racing in China can grow as a pastime without gambling. But one question remains – just how good can a race meeting be that has no betting?